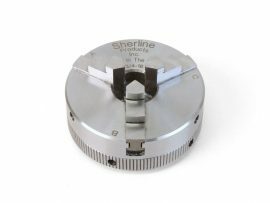 These arbors are not designed to be used on Sherline lathes, but rather are specifically suited to the types of lathes often used by jewelers and watchmakers. Though highly accurate, these machines are often not very versatile. 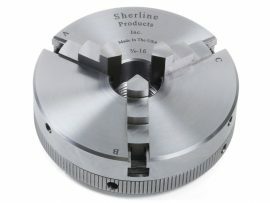 The 3/4-16 Arbors provide a way to mount a Sherline 3-jaw or 4-jaw chuck to this type of lathe. 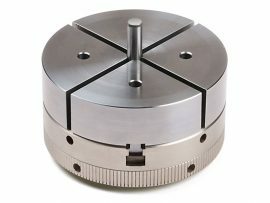 The 3/8-24 arbors allow a 1/4″ or 3/8″ Drill Chuck to be mounted. The ability to mount these chucks adds a great deal of versatility to this type of special purpose tool. 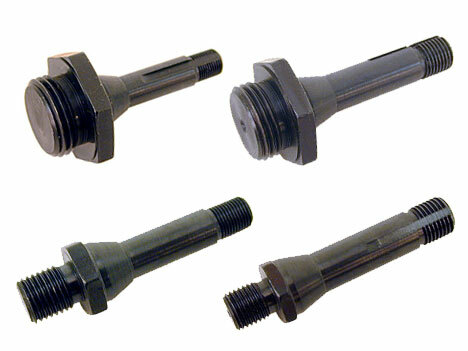 Adapters are available to hold Sherline chucks (3/4-16 thread) and Drill Chucks (3/8-24 thread) on non-Sherline lathes. 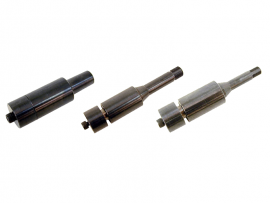 The ends are made to fit watchmaker’s lathes that take 8.0 mm or 10.0mm “D” collets.